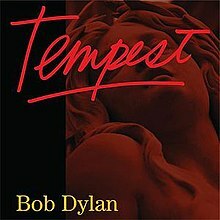 The most recent work from the artist’s collection, Tempest is a darkly written album with Dylan’s darkest voice yet. The lyrics are playful but tell tales of murder, love, remembering John Lennon and disasters like the titanic. The multitude of great songs are met with equally unimpressive ones, and if this is indeed his last studio album as The Tempest was Shakespeare’s last play, the audience was given a good LP to feast upon. Much like Lennon’s Double Fantasy, Dylan delivers heartfelt songs, but in his own dark, vague way — and without Yoko. Produced by himself for the fourth consecutive album, Bobby gives the feeling of a world as dingy as his voice, and the atmosphere is well fitting because of it. The good songs are great, but the others fall flat. A bit of a mixed bag, but enough to justify its spot as a good album overall. “Narrow Way”, “Roll on John” (the Lennon remembrance) and the title track “Tempest” are all fairly weak tracks for one reason or another. The first of these repeats the same riff far to long for the whole song, though it has some clever lyrics. The second is a very bizarre tribute 20 or so years after John Lennon’s death, which is a disappointing song given the history between the two (Lennon once heavily envied Dylan’s lyrical ability, making songs like “Yesterday” to try and copy him, though Lennon claimed Dylan to be delusional and lost repect for him after Dylan’s conversion to fundamentalist Christianity). “Tempest” is a 14 minute song about the sinking of the Titanic, riddled with fantastic imagery and lyrics, however plagued with repeating, boring, musical accompanyment. However “Duquesne Whistle”, “Pay in Blood”, “Soon After Midnight” and “Early Roman Kings” are all great pieces, the first being a rather amusing, if not violent, music video for such a happy sounding, upbeat song. Dylan’s third consecutive number one charting album came with rave reviews, with some declaring it one of his best works, signifying a stay as one of the elder statesman of rock. The album was praised for its atmosphere, instrumentation, and production (done by Bob Dylan’s other alias, Jack Frost). 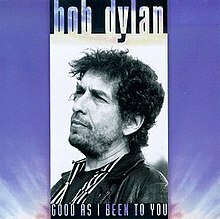 The critics loved it, his fans loved it, and it’s still placed in some people’s top 10 Dylan albums. So why is it so low on this list? I never got the appeal. Well, to be fair, I like it, simply because Dylan has his name on it and it isn’t followed with “& the Dead”. It felt rather samey however, taking less risks then the previous endeavors of Time Out of Mind and Love and Theft. It has some good songs, but also some rather boring riffs repeated a little too much. Which isn’t to say its bad, or even ok. It’s good. There are a lot of catchy songs, witty lyrics and enjoyable melodies, but the previous two did all of that better. It’s just over rated, even being placed at #204 on Rolling Stones’ best albums of all time list. So what are the good pieces that I also tend to agree are worth the praise? “Thunder on the Mountain”, “Workingman’s Blues #2”, “Someday Baby” and the “cover” of “Rollin’ and Tumblin” are all very good songs. The last of these is loosly based on the 1929 song of the same name by Hambone Willie Newbern, but includes all new verses outside the first two lines of the song. All have the feeling of a still-mastering musician who will play with his audience and their expectations. A good album, a “B” album. Bob Dylan’s first fully acoustic album since 1964 was met with praise as a return to his roots, and was a welcome sign after the disappointment of Under the Red Sky. The first of his traditional blues albums featured all covers and like its following counterpart, was praised for the singing style and acoustic sound. 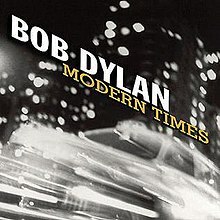 Reviews were mostly positive of the albums, and although Dylan had some trouble with the liner notes and credits in this album, the music still certainly shows through. Although mostly more lighthearted than World Gone Wrong, it carries a certain weight to it as well with such strong songs as “Frankie and Albert”, “Jim Jones” and “Diamond Joe”. However the biggest winners off the piece would be “Blackjack Davey” and “Tomorrow Night”, both showcasing some of Dylan’s best cover work. There isn’t so much to say about such a modest album, though it is good, that wasn’t said about World Gone Wrong. 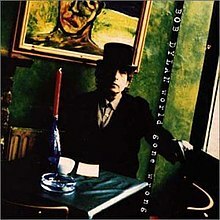 After the letdown of Under the Red Sky, Dylan set to work on a pair of albums just to fulfill his 1988 contract, both of them traditional cover albums. This is the second of these, and the last album he would record until his return to the spotlight with Time Out of Mind. Both of these traditional albums, Good as I Been To You and World Gone Wrong were well received, though modest and simple in nature. This album is the darker of the two, featuring mostly bluesy songs, including one from Blind Willie McTell. The sound differs from song to song, and the guitar playing is surprisingly effective as are the now aging vocals. Although its well arranged however, the fact remains that it isn’t a particular interesting listen at times due to the lack of unique material, which is Bob’s strong suit, and it was just made to fulfill a contract anyways, not to be one of his best. “Blood in My Eyes” is fantastic, as are “Jack-A-Roe” and “Love Henry”. All the songs work with the aging voice and the plucked acoustic guitar, and it makes me think how much better Self Portrait could have been in a different world. 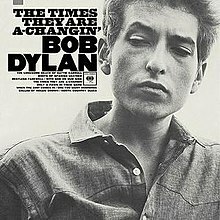 With the protest movement in full swing, Dylan released his second, and subsequently last, of that style of rebellion with The Times They Are a-Changin. The title track became a big hit, and one of Dylan’s most popular and celebrated songs, achieving number 9 in 1964 on the UK Charts. The song also was placed as the 59th best song of all time by Rolling Stone Magazine. The rest of the album is good, but like with Slow Train Coming had little variation in sound from song to song. Dylan was certainly delivering strong messages and got people’s attention, but the piece lacked some of his wit, and all of his humor, as it didn’t achieve the success that the previous record The Freewheelin’ Bob Dylan achieved. Most of the pieces are very strong ones, whether with “Ballad of Hollis Brown” being the tale of a struggling farmer killing his wife, five children and himself, or with “Only a Pawn in their Game” focusing on how the poor white men are just as brainwashed and mistreated as the black folks. The odd song out is “Boots of Spanish Leather”, but its a superb love song. This album is a bit of a step down from some of his other 60’s work, but is mostly brilliant.